If you’re looking to give a bunch of kids nightmares, how do you escalate beyond terrifying animatronic animals? 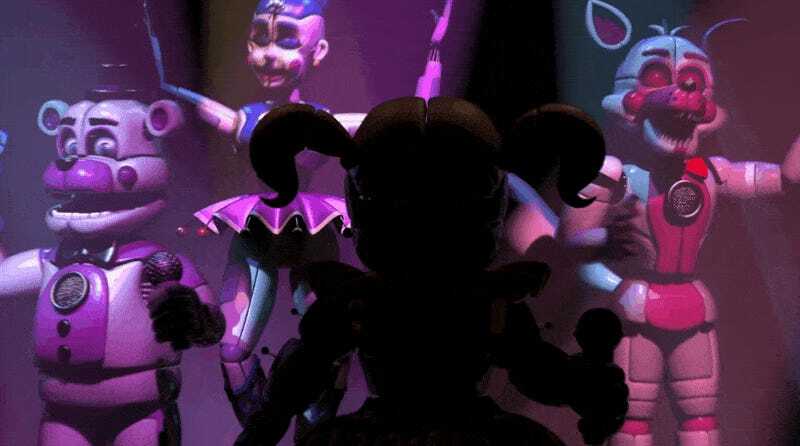 Five Nights At Freddy’s creator Scott Cawthon’s first trailer for Sister Location takes us to clown town. No doubt Five Nights fans are busy tearing this latest trailer apart, searching for clues as to what’s going to happen in this fall’s follow-up. If I had to wager a guess, I’d say millions of impressionable teenagers spending five bucks or so for the same sort of game with different characters. But hey, clowns.